Etymology is very interesting, but it’s not really a very systematic science, since each word has its own history. Many languages have etymological dictionaries, that give the origins of words in addition to their meanings. Unfortunately, I don’t know of any such dictionary for Arabic (if you know one, please let me know). Let’s look at some words that are used mostly in Arabic dialects, but are not of Arabic origin. They mainly have entered Arabic via Farsi, Ottoman Turkish, and Greek. Not only words were borrowed from other languages, but also grammatical constructions. This grammatical construction is found in several, mostly North African Arabic dialects, if an adjective is derived from a noun. We call this a Nisba (نِسبة). A نِسبة has the ending يّ. This ending is probably taken from the Ottomans and became widespread in North Africa, but also in Iraq and parts of the Levant. It is mainly used to derive nouns for professions. Notice: In Turkish, the suffix/ending cı is used to form nouns of occupation, etc. the person who makes kufta (Köfte); may denote as well the place where kufta is grilled. Notice: kefteji is also a Tunisian dish! And what about the لِي ? This is common in Egyptian Arabic. So what is بَلْطَة ? It is an axe or simply a tool to cut trees or wood. Nowadays, it denotes violence, brutality. During the Ottoman Empire the army had a special force which was called البلطجية, a word that means sapper or pioneer. When the Ottoman Empire became bigger, but also more vulnerable and less controllable, corruption started to spread among soldiers. Thus the word البلطجة or البلطجية was used to denote a man or a thief who used force and violence against innocent people. Nowadays, especially in Egypt, the term Baltagi (for a single person) or Baltagiyya is used for thug, gangster, or rowdy. Especially during the regime of Hosni Mubarak, the term البلطجية (Baltagiyya) was used for thugs commanded by the regime to beat people and demonstrators. It is used in Egyptian and Sudanese Arabic and means to give; also to hand; to pass (a ball). It is basically the dialect word for أَعْطَى (to give) in Modern Standard Arabic. The word is perhaps of Pharonic origin (دي). Since many Egyptians were working in Saudi Arabia it is used there as well nowadays. 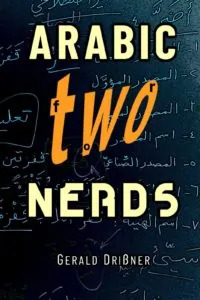 Watch out: in Modern Standard Arabic (as well as in Egyptian Arabic), the verb أَدَّى (with فَتْحة) means to direct, to lead, to carry out (in Egyptian Arabic). In several Arabic dialects, you will find the word شَنْطة used to denote a bag (حَقِيبَة), no matter if it is big (suitcase) or small. It is sometimes also written جنطة and entered Arabic via Ottoman Turkish چانطه ‎(çanta) meaning leather bag, small suitcase. It is perhaps originally from Persian (چنته). It has also entered the modern Greek language via Turkish; the word tsánta (τσάντα) means bag as well. It is means notebook or register. The term is probably of Farsi origin and means book or office. This word is found in several Arabic dialects and means shop or store (مَحَلّ). It is perhaps of Persian origin. It also entered the Turkish language. The word dükkân means shop. Yes, Arabic is fine for me. Please let me know the name of the books – I appreciate it! i can give you reference (and sometimes copy) of etymology books. 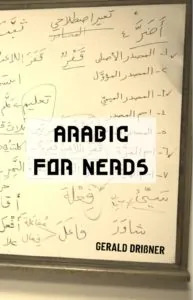 DO you read Arabic well?